The RFID Enabled Custom Armory Rack System by Santa Cruz Gunlocks offers a great way to store firearms in a highly accessible yet secure manner. Our RFID enabled Rapid Access Armories can be customized to accommodate any application inside facilities, response vehicles, mobile command posts and more. As with all of our products, we will support you in customizing and adjusting the system to meet your exact requirements. The base system will securely hold up to six long-arms of your choosing, ready to be immediately accessed with the swipe of an RFID key fob, wristband, or sticker. Users may also access their firearms using their chosen PIN or the manual key override. 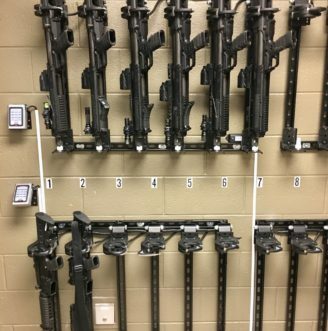 Each rack in the armory is fully adjustable to accommodate practically any long-arm from patrol rifles to grenade launchers. 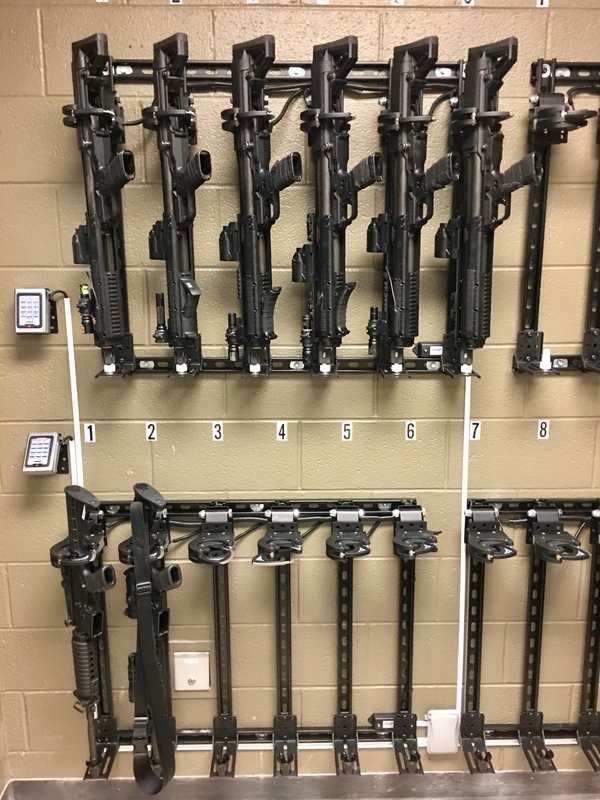 Furthermore, the modular nature of our armory system allows for future expansion, adjustment, and reconfiguration to accommodate changing needs. Please specify any preferences regarding muzzle orientation, key override type, firearms to be secured, and otherwise. If you have a unique application, no worries! This is our area of expertise! Our expert staff is eager to help you find the perfect weapon mounting solution to fit your unique circumstances. Contact us now for a free consultation!